The vehicle can be locked and unlocked using the key, wireless remote control or door lock switch. Turning the key unlocks the driver’s door. Turning the key again unlocks the other doors. The front doors can be opened by pulling the inside handle even if the lock buttons are in the lock position. 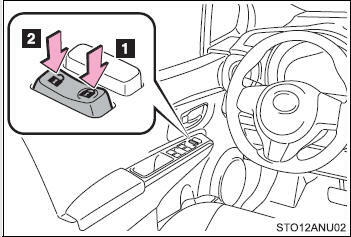 Move the inside door lock button to the lock position. The door cannot be locked if either of the front doors is open and the key is in the engine switch. 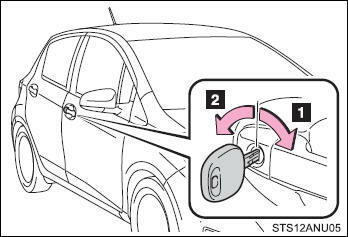 The door cannot be opened from inside the vehicle when the lock is set. These locks can be set to prevent children from opening the rear doors. 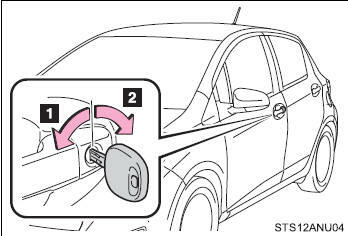 Push down on each rear door switch to lock both rear doors. Observe the following precautions while driving the vehicle. Failure to do so may result in a door opening and an occupant falling out, resulting in death or serious injury. ●Always use a seat belt. ●Always lock all the doors. ●Ensure that all the doors are properly closed. 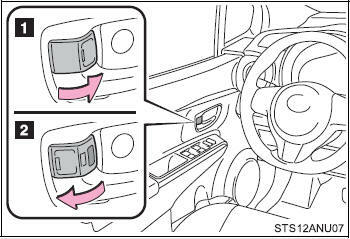 ●Do not pull the inside handle of the doors while driving. The doors may be opened and the passengers are thrown out of the vehicle and it may result in serious injury or death. Be especially careful for the front doors, as the doors may be opened even if the inside lock buttons are in locked position. 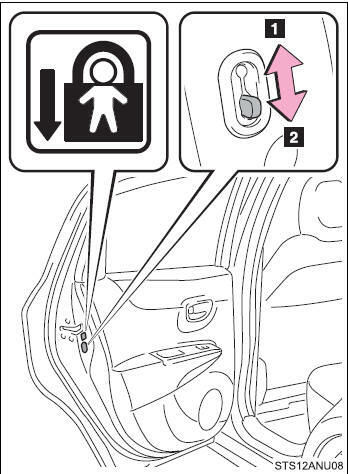 ●Set the rear door child-protector locks when children are seated in the rear seats.